The ladies constantly change their haircuts: they grow it out or cut it short, they shave it off on the sides, straighten up the curly hair and vice versa, they dye their hair in any colour imaginable and make braids etc. 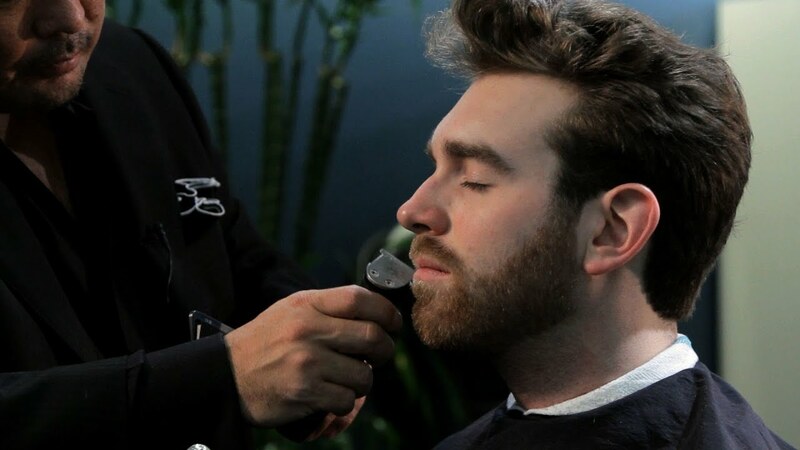 The same thing applies to the gentlemen, but men have one more thing to exploit if they want to tell the world how truly creative and special they are – beards. 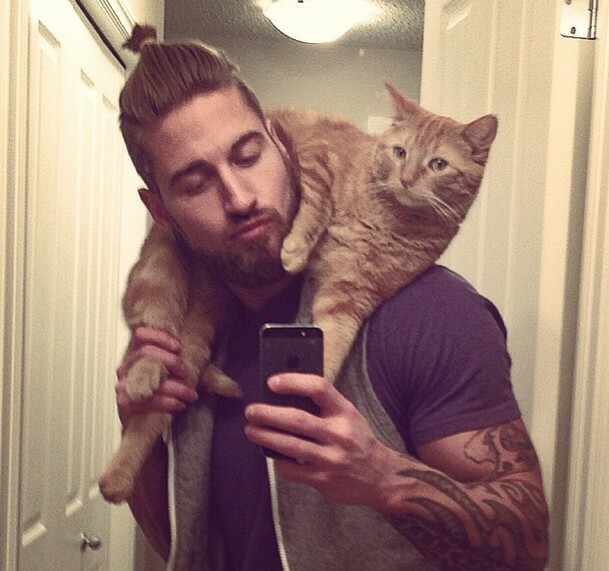 Beards are still a big deal amongst guys and this trend will definitely stay for a while. But men are limited in terms of creativity when it comes to styling their beards. Or are they? Hipsters pulled out all the stops to get the festive mood going. It is always incredibly hard to stay in the center of attention, but the most stylish men figured a way to stay ahead of the curve. Guys started to cover their facial hair in glitter. Fabulous, right? This is probably a bit over the line, however it is just the beginning of our crazy list. Although, the majority of men is having hard time expressing their emotions and exploring their softer side, some guys have managed to find the perfect balance between tough and cute. At least they think so. These men all over the world are decorating their beards with beautiful arrangements of flowers. 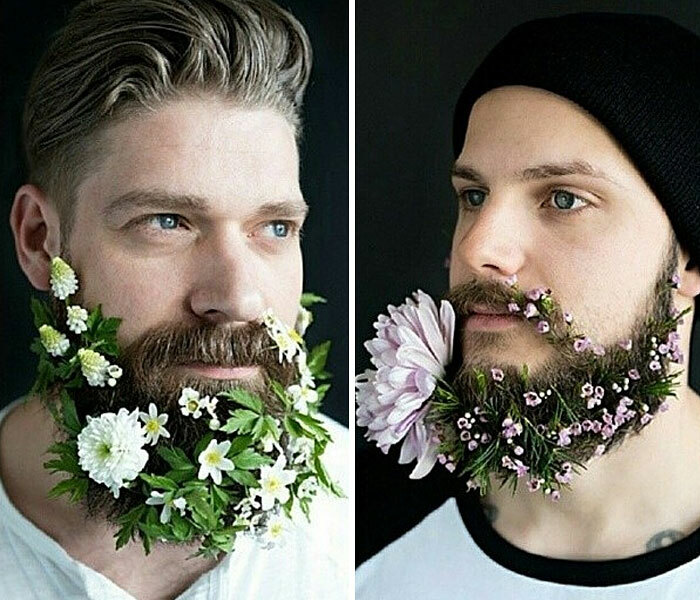 Can't really say that it's a full-on trend but the first photos of guys with flowers-covered beards go back to the Hippie 70s. This is probably the most applicable way of styling your beard and your hairdo in real life. Despite the fact that a lot of people are on the fence with such styling, the trend keeps growing on more and more men. If you think that putting glitter or flowers on your beard is a bot over the line, it means that bun & beards combination is exactly what you need. Besides, realistically, how much time will you be able to walk around with flowers in your beard and keep a straight face? Generally, people can be divided into three groups in accordance to their hair colour: brunettes, blondes and redheads. People who do not want to be limited to these three colour palettes, get creative and go for bright pink, acid green or some bizarre blue. And some men don't want their beards to be left out. So, here is yet another way to draw attention to your fabulous facial fuzz. If you're really committed to your public image, you will go an extra mile and make both your hair and your eyebrows match. Or you can just let your beard grow untouched. The hardest part about this styling is to find the willpower of keeping it untouched. Sure, you might end up looking like a hobo, but who cares, really? If you like it that way, raw and uncut – go for it! 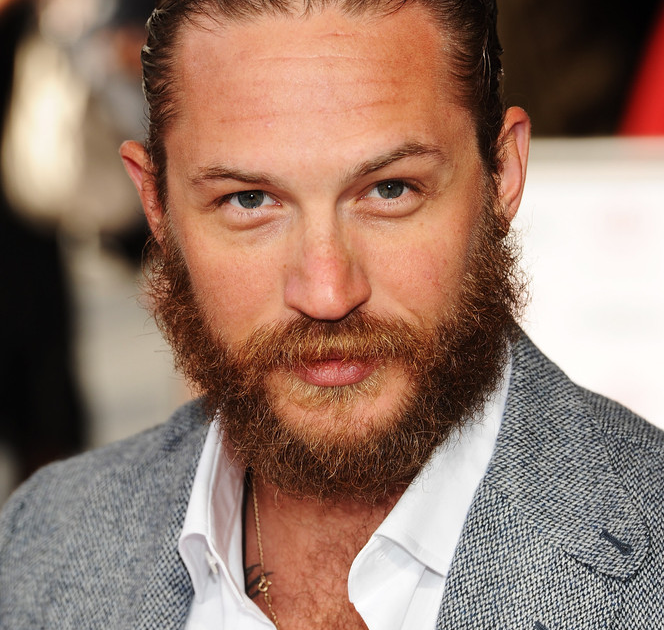 And if someone doesn't like it, you can always say that it the special Tom Hardy styling. 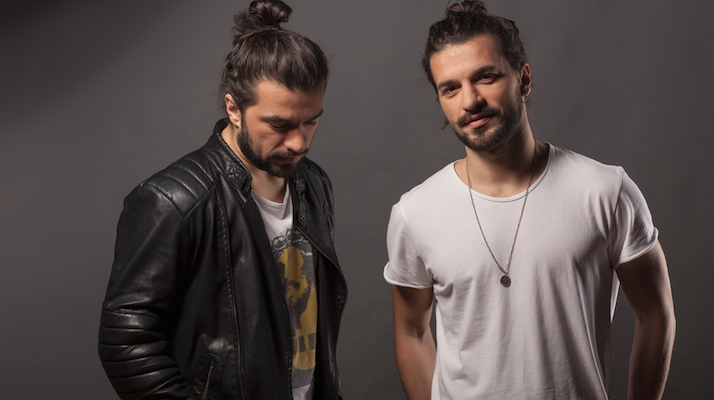 Everybody loves a good bun and a beard, but topknot is a whole new level of awesome. Take a closer loot at this sophisticated styling. These guys sure know how to get noticed. The only limit here is your own imagination. 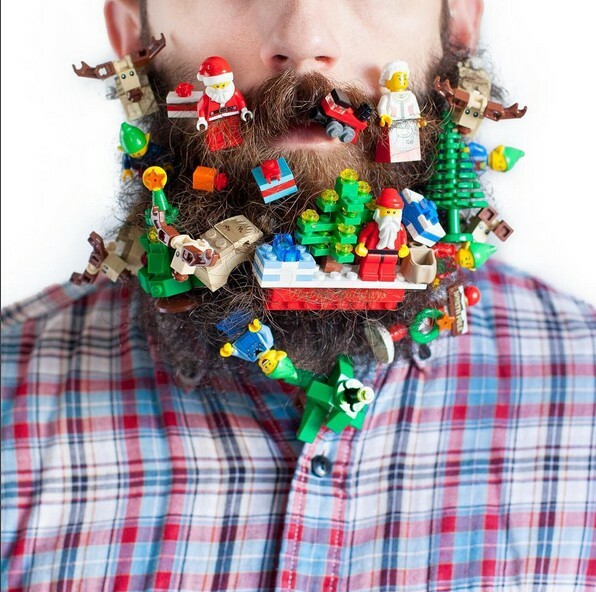 It is really hard to tell if the person with legos and toothpicks in his beards is incredibly stylish or incredibly stupid. Regardless, this approach is fulfilling its purpose entirely – it focuses your attention on the beard. This style isn't gonna last long but it will definitely make you an Instagram celebrity. The Mighty Thor and the All-Father Odin would definitely love this amazing styling! Even Loki would start growing out a beard to plait some beard braids. If you feel like there were vikings in your lineage or at least you feel you're a bit of a tough viking yourself, you should definitely consider brading your beard. Also, add a horned helmet and an axe to your look. Awesome, huh? After a roller coaster of these insane beard stylings, it is about time to take a little break. This your choice if you want to keep thing low-key and simple. A bit of trimming here and there and you are ready to go. Forget about the bun, keep it classy. Do you want to be the icon of style like Nick Wooster? Just don't forget to get inked, keep yourself in shape and wait for 40 years. You can only get this one in time. 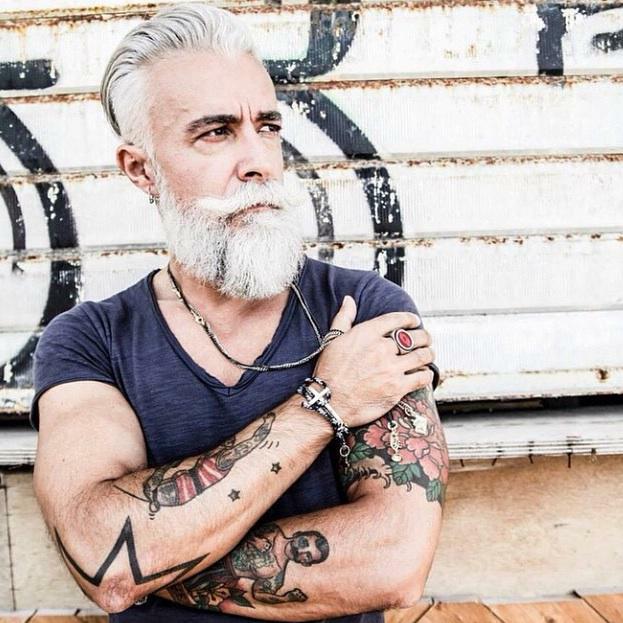 Just wait and you'll get your own silver fox beard. Just don't dye it, okay? Rainbow beards are more than enough.